Facebook pages often have several page administrators, and there is currently no way to tell which admin was responsible for posts on the page. This may change starting Feb. 20. 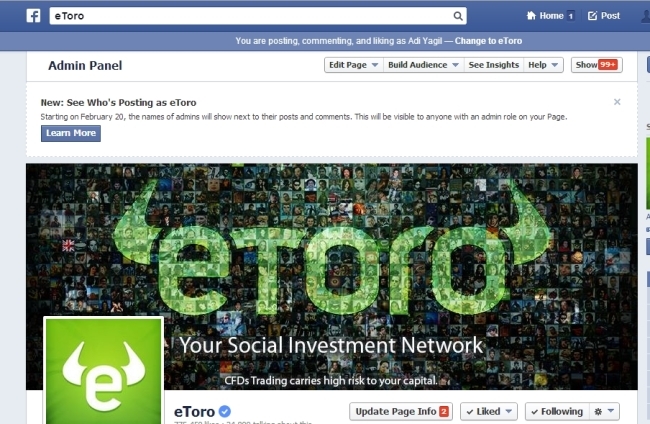 New: See who’s posting as eToro. 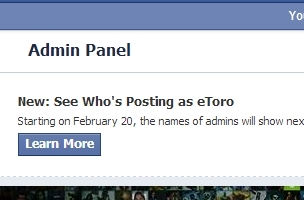 Starting Feb. 20, the names of admins will show next to their posts and comments. This will be visible to anyone with an admin role on your page. Page admins: Have you seen this message, and will this feature be a helpful addition?